Have I told you Valencia is such a vibrant culture! With all its cafes and bars on just about every corner. But what’s behind all the food and wine culture here in Valencia. I’d like you to meet a very special local chef. Born and raised in Spain. Has traveled the world. Worked in some of the top restaurants in Paris. And has even been a private chef to a royal family. He knows something about food. So since I knew you would be joining me, I dusted off the jacket and headed down the road for a chat. Meet Carlos Alonso….. Many thanks to Carlos Alonso from Trip Advisor’s high ranking Atelier Gastronomico (+34 96320 2281. Carrer de Ciscar, 52, 46005 València, Spain). And thanks to Serge and Alla for the video. Check out their stunning photography work at Buenas Photos, +34 664 114 752. Oh, and one other thing. I’ll be away for a few days. As it is I’m overstaying my visa. So the last thing I need is to be deported to somewhere like a Manus Island illegal immigration detention centre. Now you may remember I spoke to PM Mal about Oz joining the EU. Well, T-Y-P-I-C-A-L. Haven’t heard a thing. Great. Now me grande problema! So I’ve decided I need to escape the place for a few days. I’ll drop you a note and let you where I end up. Look forward to seeing you when I get back…..
Chris’ very own Getaway Show. It’s all in the editing. Thanks Serge. You have definitely missed your calling. Perhaps a food critic, a Tourist guide, a TV presenter or perhaps anything that you tickles your fancy. Enjoy every day and don’t get deported. Thanks S&R. I’m trying to stay legal. What – no Truffles – what’s wrong with that chef! Mmm, I’ll have to check with Carlos. I think Spain is a big producer of truffles?? but not so much for local consumption? I do have another interview lined up, but warning, it’s bit disgusting though…. stay tuned! Que genial el video ! Y muy profesional! I’m your man Captain. I’ve learnt it all from Carlos! Mate you would do anything for a free meal and drink. Wasn’t sure how you were funding your trip but the secret is now out. A very professional presentation with an insight into Spanish lifestyles. Can’t wait for the USA series. Yep wait til you see my winemakers video, brewers video, pilots video….. Very Cool! Just like watching Anthony Bourdain!! Life here is a beach while in visa excile. 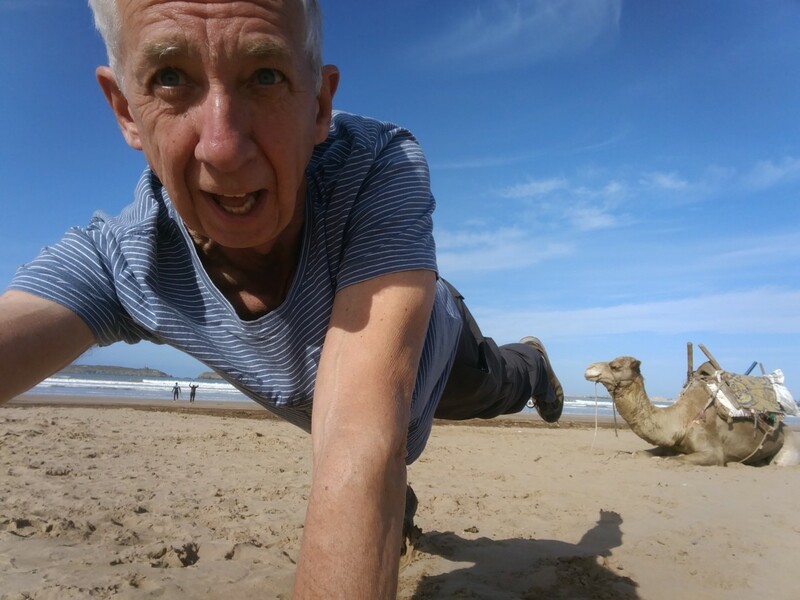 But you’d be pleased to know your Valencian beach circuit training continues….